United Nations peacekeeping missions have helped countries torn by conflict to create conditions for sustainable peace since the UN's founding in 1945. The peacekeepers—soldiers and military officers, civilian police officers and civilian personnel from many countries—monitor and observe peace processes that emerge in post-conflict situations and assist ex-combatants in implementing the peace agreements they have signed. Such assistance comes in many forms, including confidence-building measures, power-sharing arrangements, electoral support, strengthening the rule of law, and economic and social development. Peacekeeping operations are authorized by the Security Council, under the Charter of the United Nations. U Thant (22 January 1909 – 25 November 1974) was a Burmese diplomat and the third Secretary-General of the United Nations, from 1961 to 1971. His participation in international relations started when he was secretary of the first Asian-African summit in 1955 at Bandung, Indonesia, which gave birth to the Non-Aligned Movement. In 1957, Thant became Burma's Permanent Representative to the UN., and in 1960 the Burmese government awarded him the title Maha Thray Sithu as a commander in the Pyidaungsu Sithu Thingaha Order. Thant was unanimously appointed UN Secretary-General on 30 November 1962, after serving as Acting Secretary-General after Dag Hammarskjöld's death. During his time in office, he was noted for his role in defusing the Cuban Missile Crisis and ending the Congo civil war, he oversaw the UN entry of dozens of new Asian and African states and was a firm opponent of apartheid in South Africa. He also established many of the UN's development and environmental agencies, funds and programmes, including the UN Development Programme, the UN University and the UN Environmental Programme. 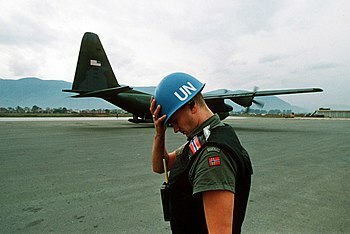 A UN peacekeeper from Norway holds his helmet as a Hercules C-130 transport plane lands at Sarajevo airport in the summer of 1992 during the Bosnian War. 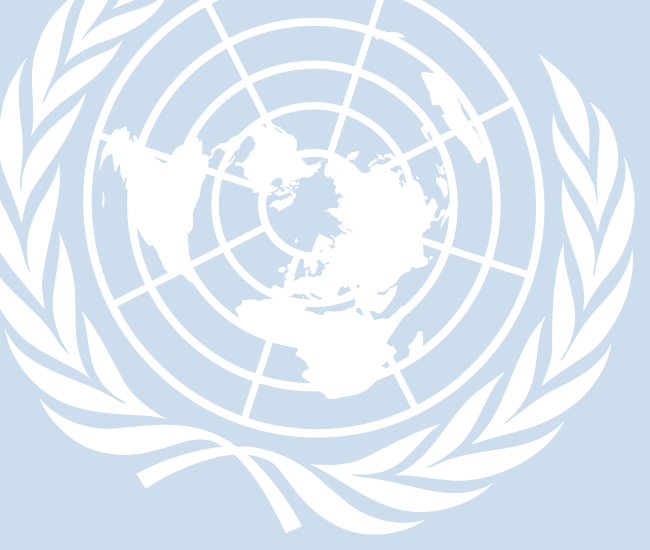 ...that initially, the organization was known as the United Nations Organization, or UNO? ...that Indonesia (flag pictured) is the only member state to have ever left the UN, leaving in 1965 and then rejoining in 1966? ...that the UN's annual budget for its core institutions is the same amount as the Pentagon spends in 32 hours?